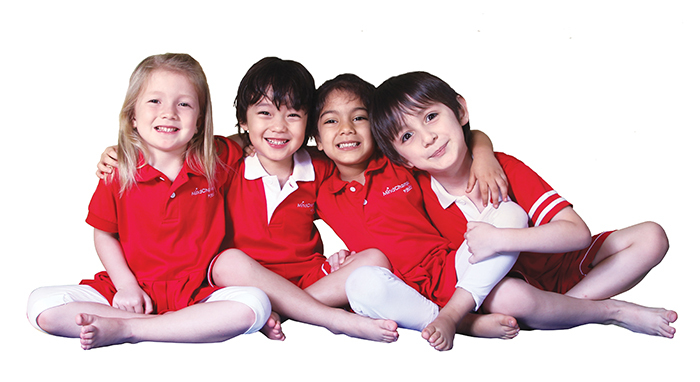 Come, join us on our Welcome Days and find out why MindChamps PreSchool is the pre-school of choice for your little champ! MindChamps Preschool, the trendsetter of early childhood education and care grew from a vision to provide the world’s best practise in early childhood curriculum and care so that every child has the opportunity to develop holistically to become the best that they can be. In order to achieve this, MindChamps PreSchool continually invests in cutting-edge research, development and training, so that it is always ahead of the curve in terms of giving every child access to quality curriculum, teachers and resources. Nurturing the champion potential in every child is the sum of the efforts of parents, teachers and pre-school centre owners; all uniting for the common purpose of instilling in every child the MindChamps Education and Life Philosophy of 100% Respect, Zero Fear. MindChamps prides itself as the only education institute with extensive program-development, employing research from the 3 domains of Psychology, Neuroscience and Theatre. 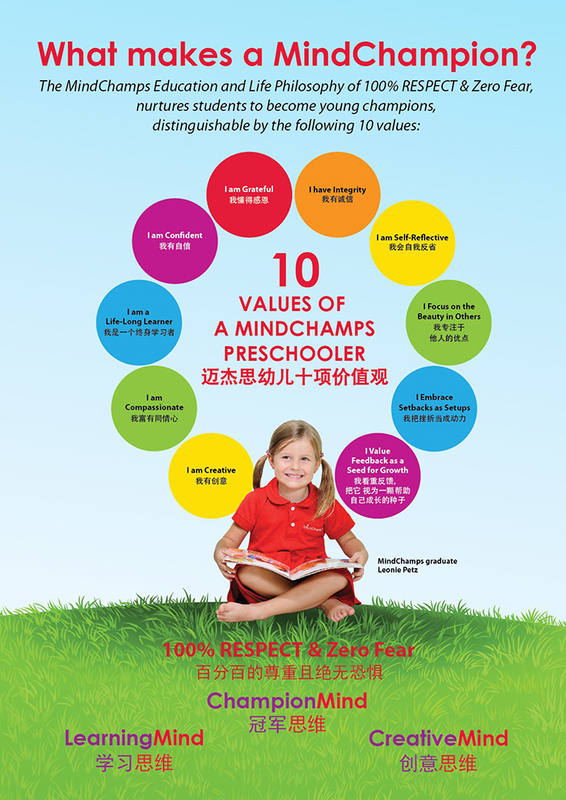 MindChamps breakthrough pre-school curriculum includes world-proprietary academic and enrichment programs. Key to curriculum is the groundbreaking research on the Champion Mindset™ and Creativity of Emeritus Professor Allan Snyder (a Fellow of the Royal Society, the world’s most prestigious scientific fellowship, whose former fellows include Newton and Einstein). MindChamps PreSchool is also the only pre-school whose teachers undergo up to 200 hours of compulsory training and accreditation, ensuring that your child’s mind is nurtured by most qualified and dedicated teachers. Give your child the foundation upon which to nurture the champion in them! Join us on our Welcome Day this Sep & Oct! Click here to book a centre visit! My Child Dislikes Learning Chinese. What Can I Do?